The 2019 NSSF SHOT Show is in the books, and what a show it was for Vulcan Global Manufacturing, Inc.! The 41st annual show took place January 22-25, 2019 in Las Vegas, Nevada. 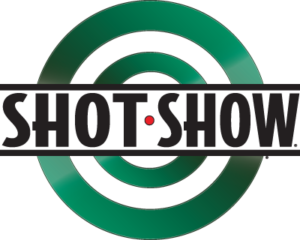 Exhibiting with over 400 other suppliers in the Shot Show’s Supplier Showcase, Vulcan GMS featured our proven ammunition solutions, including our lead die casting and stamping capabilities. Occupying over 630,000 square feet of exhibit space, the SHOT Show is the world’s largest outdoor industry trade show. Attendance is restricted to members of the shooting, hunting and outdoor trade industry, including commercial buyers and sellers of military, law enforcement and tactical products. It is among the top 25 trade shows in the US. Attracting more than 60,000 attendees, this year’s show gave Vulcan the opportunity to interact with many key players in the ammunition marketplace. And our rich tradition with lead ideally positions us to provide members of the shooting, hunting and outdoor trade industry with the reliable ammunition solutions their customers demand.